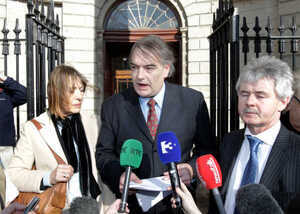 Ian Bailey and Jules Thomas’ civil action against the State is up for mention in the High Court this morning. It comes as John Burke of RTÉ last night reported that 133 separate tape recordings from Bandon Garda Station have emerged of conversations between gardaí, witnesses and journalists relating to the Sophie Toscan du Plantier murder case. Mr Burke said they were found last autumn following a discovery order made by Mr Bailey and Ms Thomas’ lawyers. 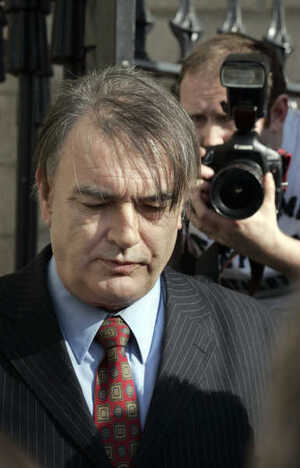 Mr Burke reported that 36 involve conversations between [fake witness] Marie Farrell and gardaí; 18 involve conversations with [informant] Martin Graham and gardaí; 42 involve conversations between journalists and gardaí; 37 involve conversations between gardaí and other members of the force, including senior garda officers; while at least one is a recorded conference call between local gardaí and senior gardaí in Dublin. High Court: Ian Bailey's legal team says new evidence shows level of contact between Gardai and journalists "beyond belief"
Older Bailey ‘You’ll Be Found Dead In A Ditch With A Bullet In The Back Of Your Head’ Court Jester Hash For Questions? 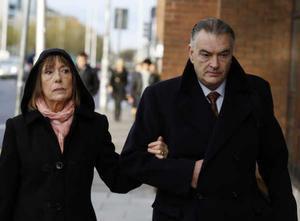 Posted in Misc and tagged 133 Sophie Toscan du Plantier calls, High Court, Ian Bailey at 11:18 am on April 4, 2014 by Broadsheet.